What is CBD Oil? What’s all the buzz about? Cannabidiol (CBD) is one of the active chemical compounds found in the cannabis plant and is most often used as CBD oil. Unlike tetrahydrocannabinol (THC), the use of CBD does not produce a high or sense of euphoria. It has shown great promise in the treatment of a number of disorders, including epilepsy, schizophrenia and inflammatory diseases. Because possession of cannabis is still classified as illegal in many places, however, access to CBD oil for medicinal purposes can be difficult to find. What is CBD Oil? Cannabidiol (CBD) is one of the active chemical compounds found in the cannabis plant and is most often used as CBD oil. What is the Definition of CBD Oil? CBD oil is, as its name suggests, cannabidiol in an oil suspension. It has been shown to have a number of beneficial properties and has been used as an antidepressant, an anti-psychotic, an anti-inflammatory and as a treatment for some forms of cancer. CBD works with the body’s own endocannabinoid network to bind with receptor cells and provide added stability for this part of the nervous system. This can produce remarkable improvements for patients with seizure disorders, extreme pain and other conditions. A 2015 article in Wired outlined the difficulties for parents in acquiring consistent CBD oil to manage epileptic conditions. Sam Vogelstein was a young boy with Dravet syndrome, a relatively rare form of epilepsy, and sometimes experienced more than 100 seizures in a single day. After exhausting all other medical options, Sam’s parents sought help from an experimental CBD regimen that had shown good results in other cases. Learning how to use CBD oil properly is a key element of treatment. In Sam’s case, finding CBD oil at the required strength and concentration, however, proved difficult at first. When the dosage amounts were normalized at a relatively high level, the frequency of Sam’s seizures went down to just five or less each day. The results achieved in Sam’s case led to the development of a new CBD drug, now under consideration for approval by the U.S. Food and Drug Administration, that offers consistent dosing for patients with many forms of severe epilepsy. This has allowed Sam to enjoy many activities that were formerly impossible for him and has provided added peace of mind for his parents as well. In testimony to the U.S. Senate, the director of the National Institute on Drug Abuse reported that preliminary research showed that CBD had a number of beneficial effects for patients, including a reduction in the number of seizures experienced by patients with epileptic disorders and an improvement in quality of life reported by patients with Parkinson’s disease. Patients with multiple sclerosis showed measurable improvements in the degree of spasticity experienced while using CBD oil. CBD has also shown considerable promise in assisting the recovery process for alcohol abuse and in treating pain for patients with peripheral neuropathy. There is still much confusion over what CBD oil is and what it isn’t. In the United States, 38 of the 50 states have passed legislation that makes CBD oil accessible and legal for patients in their jurisdictions. Federal law, however, still classes cannabis as a Schedule 1 drug, the highest level of prohibition under the Controlled Substances Act. As a result, substances with any amount of THC can be seized by law enforcement authorities. People found in possession of these substances can also be subject to legal charges. A recent case in Mission, Kansas, illustrates the risks of selling medicinal CBD oil in certain jurisdictions. The wholesaler in question indicated that the CBD products he sold contained less than 0.3 percent THC, which may be protected under the provisions of the 2014 Farm Bill. Unfortunately, the guidelines of the Drug Enforcement Administration do not allow for any wiggle room in the amount of THC allowable in these cannabis derivatives. For many patients, CBD treatments represent a last avenue of hope for control over their medical conditions. 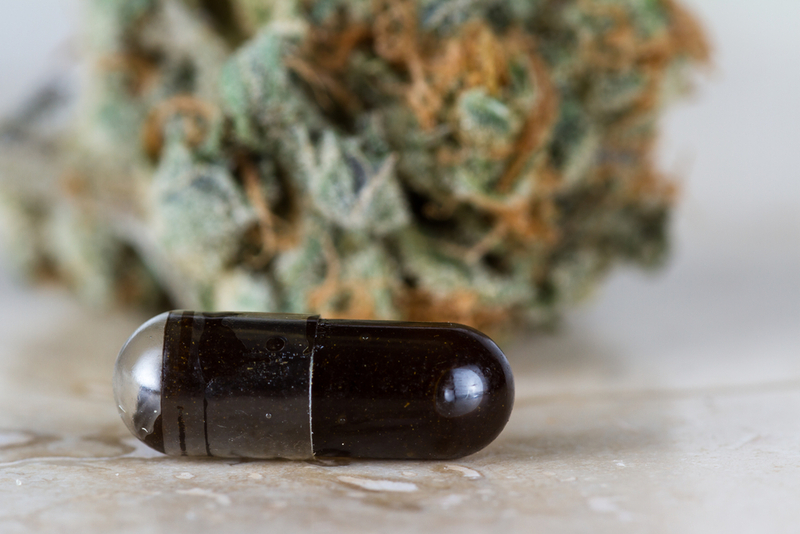 While FDA approval is nearly certain for CBD-based prescription medications in the near future, the promise of these treatments has yet to be fulfilled due to legal restrictions in place on the federal level and in some states. In the interim, CBD oil treatments are available through selected vendors and are still providing benefits for many patients in the U.S. and abroad. If you enjoyed “What is CBD Oil?,” you should check out our related article: What are the Benefits of CBD Oil?